Using various pieces of the nature – pebbles, tree leaves and branches, egg shells – I create objects by binding the individuals with indigo-dyed threads, then gathering them together to create a “space”. In “The Sky’s Blue, the Sea’s Green”, I expressed the sky and the sea I saw on an island of the Seto Inland Sea. As I grew inland, the time I spent on the island surrounded by the sea was a very curious occasion, allowing me to forget my everyday life. 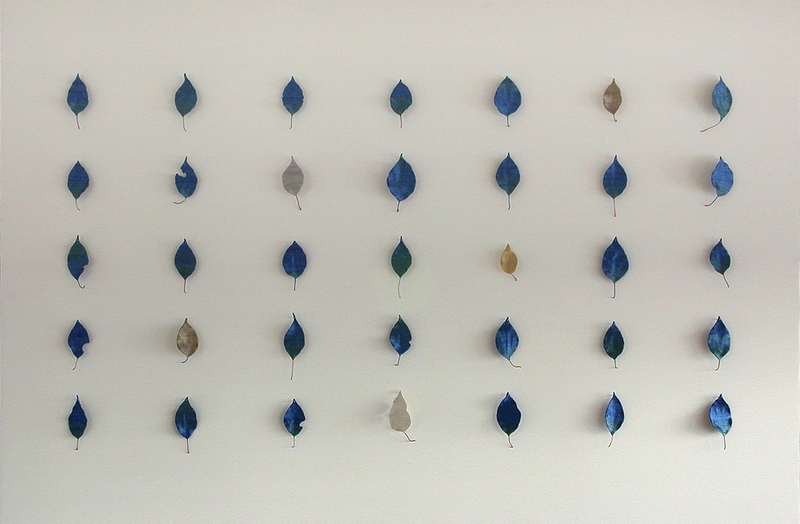 On ordinary camphor tree leaves, I applied the colours I saw on my visit to the island.